Not THAT Michael White - “Return of the Library Dragon” And Other Books Meant To Save Books and Libraries! Noticing New York is written by Michael White, maybe you know. That’s me. Michael White is an award-winning fine artist. His art is regularly exhibited in area galleries. (I am quoting.) . . . 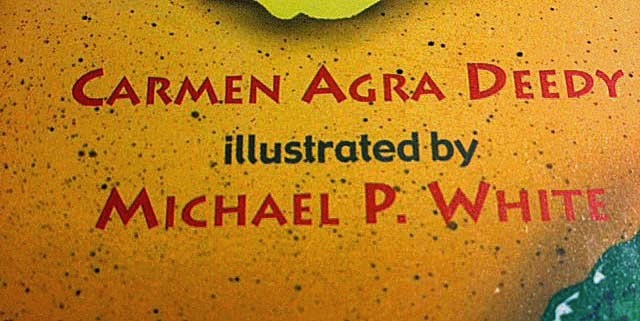 I am not THAT Michael White. 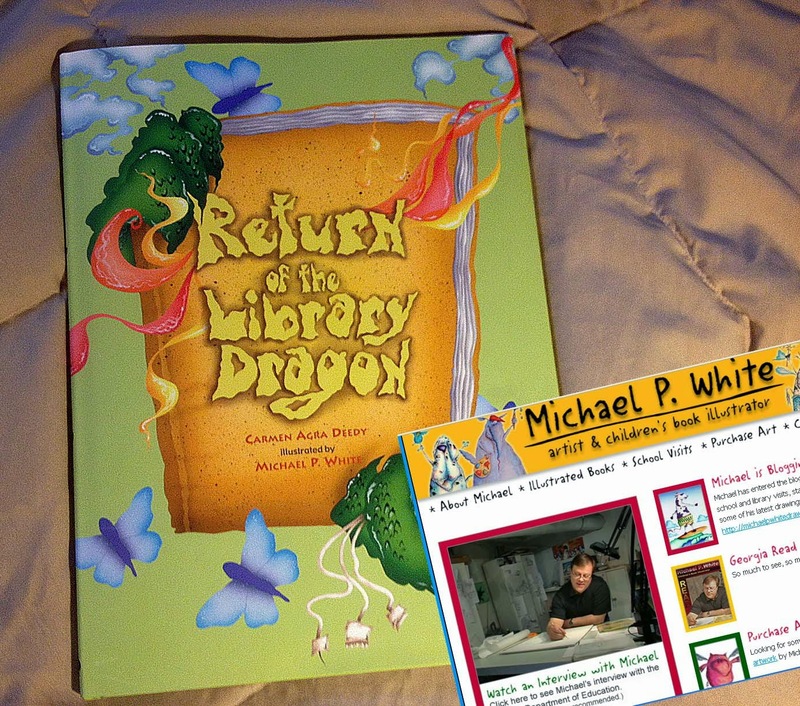 THAT Michael White is Michael P. White, the illustrator of “Return of the Library Dragon,” a children’s book that with humorous eloquence makes the case for keeping our books in our libraries. I am Michael D. D. White, not only the writer of Noticing New York and National Notice, but also a co-founder of Citizens Defending Libraries, a group that is working hard to keep the books in our libraries, fighting to make sure our New York City libraries are not sold off and shrunk, our books and libraries discarded using the fictional arrival of an all digital future as a pretext for real estate boondoggles detrimental to the public. I have previously noted that there are many, many Michael Whites in the world, declaring myself NOT to be certain others of them. 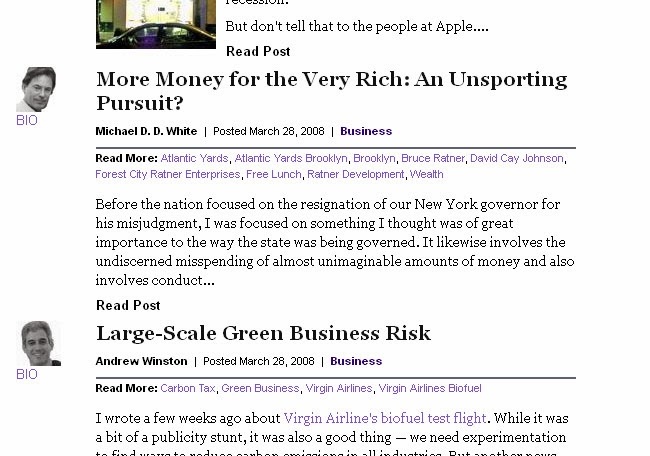 See: Wednesday, August 13, 2008, Not THAT Michael White, and Friday, October 14, 2011, Not THAT Michael White: Visiting Occupy Wall Street and How I Know The Economy Is Bad (For the 99%). Given how ubiquitous the Michael Whites of the world are it is hardly surprising that there would be at least two Michael Whites involved in the library fight. Good thing we are both on the same side of it and nice that we seem to share book-loads of the same sentiments. 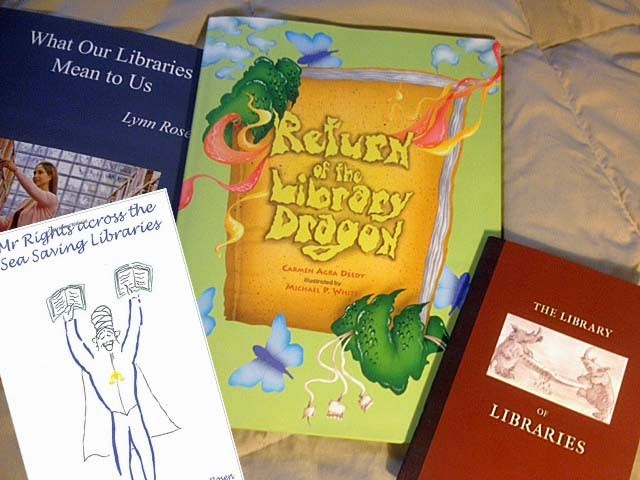 The “Return of the Library Dragon” is very much like the book I myself might have written to defend our libraries, books and librarians from incineration on the alter of a nonsensical dystopian future where digital brashly banishes all that is physical. The removal of books occurs suddenly, secretively, behind closed doors hastily festooned with a “Progress in Progress” banner at the hands of a Mr. Mike Krochip with the goofy notion that in short order he’ll have everyone forgetting what a book even looks like. Michael P. White illustrates, within his books' pages, library bookshelves that are suddenly as sadly empty as the real empty shelves of New York City libraries I have photographed and included in Noticing New York articles: Saturday, September 14, 2013, Empty Bookshelves As Library Officials Formulate A New Vision of Libraries: A Vision Where The Real Estate Will Be Sold Off. Does this children’s book have a sad ending? Guess who comes to the rescue? (I suspect you are presuming that somebody does.) The answer is sort of fantastically complex, but I will clue you in that part of the answer comes in the form of librarians who care about what ought to be cared about. The short beautiful book written by Carmen Agra Deedy with White’s illustrious contributions has lots of small, wonderful touches, including both sets of inside cover pages that arrange in panoply a multitude of quotes from passionate booklovers over the millennia from Thomas Jefferson, Neil Gaiman, to Erasmus, Cicero and Ramesses II. Reminding us that others are out there thinking of these things in terms of children’s fables, the inside texts include a quote from Roald Dahl, the author of “Matilda,” now transformed into a hit musical on Broadway where the good and the righteous do battle with book and library-hating, book-discarding and -destroying meanies: Tuesday, February 25, 2014, Musical On Broadway: The “Revolting Children” of “Matilda” Throwing Away Library Books? No, It’s Revolting Adults! Really! 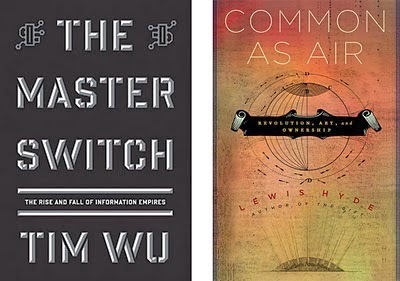 “Return of the Library Dragon” is not the only new book out there right now hoping to defend the existence of books and libraries. Citizens Defending Libraries has been involved in producing two other books pitched to children as well as adults. 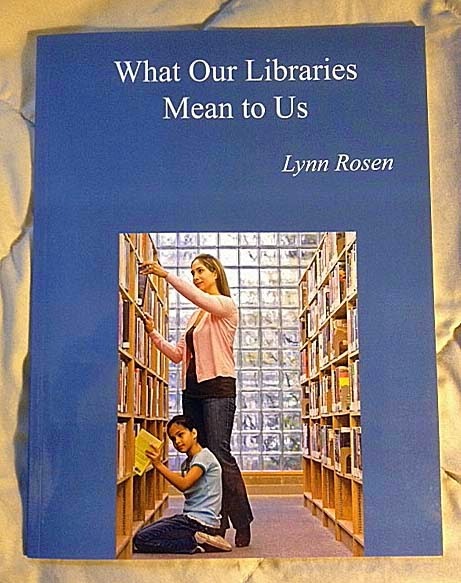 On of them, in fact, is written by children: “What Our Libraries Mean To Us: Letters To Mayor Mike,” a book from Lynn Rosen of Lynn’s Kids International. 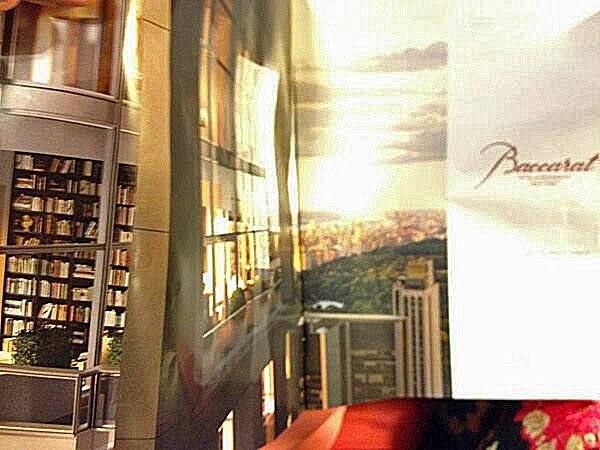 Citizens Defending Libraries was also involved with Lynn Rosen and Lynn’s Kids International to produce: “Mr. Rights across the Sea Saving Libraries.” Part of the book is feedback from other parts of the world where they are astounded New York would be wrecking its libraries. 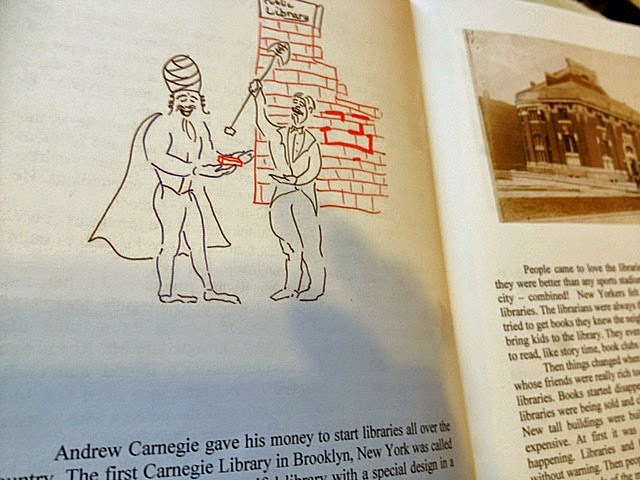 The book also includes an adventure fable where Mr. Rights, a character who has appeared in other books produced by Ms. Rosen, joins forces with the Girl Scouts of the Pacific Branch Library and Andrew Carnegie’s ghost to confront the small group of privileged elite who would deprive the public by selling libraries and getting rid of books and librarians. Remember that many of our libraries were donated to the public with the proviso that they be taken care of once we got them. 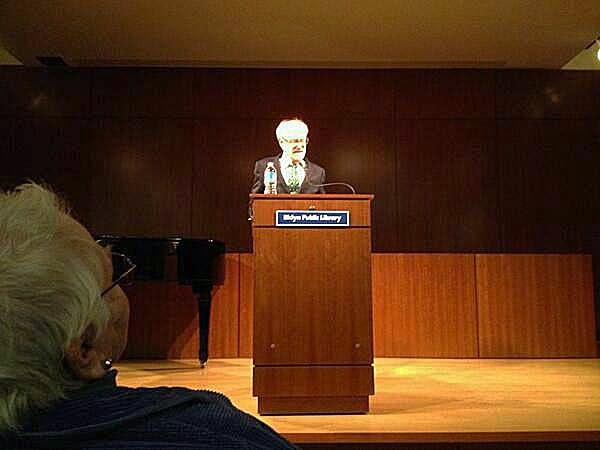 In the story, Andrew Carnegie, certainly a morally complex person in real life, is presented in a somewhat simplified form as he allies with Mr. Rights' team, but it is interesting to note that David Nasaw, a Carnegie biographer, recently made the point speaking at the Brooklyn Public Library that Mr. Carnegie was actually very different from many of the wealthy today. Saying that Carnegie had a lot in common with Senator Elizabeth Warren, Nasaw said that Carnegie was a proponent of the “dangerous but cogent belief” that the wealthy hold their wealth “in trust for the benefit of the public.” Carnegie did not believe that he should die possessed of wealth that he had not directed toward the public benefit. I should mention that in real life Nasaw has a lot in common with Mr. Rights. 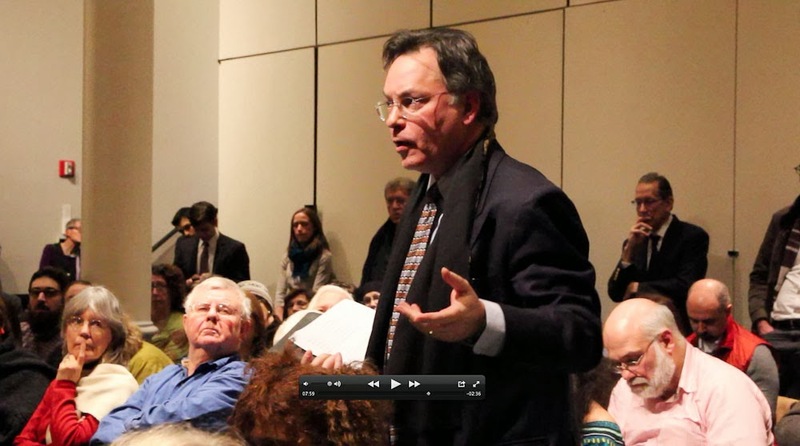 Although he was being hosted by the Brooklyn Public Library to give his Carnegie talk he is a co-plaintiff with Citizens Defending Libraries in a lawsuit seeking to stop the same NYPL “Central Library Plan” selling and shrinking libraries and getting rid of books and librarians that Mr. Rights opposes in the story. Isn’t it wonderful when fables take on the muscle and sinew of actuality? I have previously written about how, if you go to the library to find Mr. Nasaw's acclaimed books, you might not find them there. 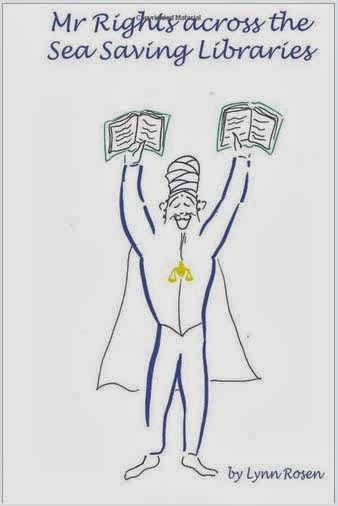 In the Mr. Rights story, Mr. Rights feels himself weakened by the changes going on at the library but doesn’t understand exactly what is happening until a librarian is able to inform him of the facts even though the librarian fears the consequences for herself of giving out information. Again the librarian as protector of the books! Last week a new book about the destruction of the 42nd Street Central Reference Library and the banishment of books became available. 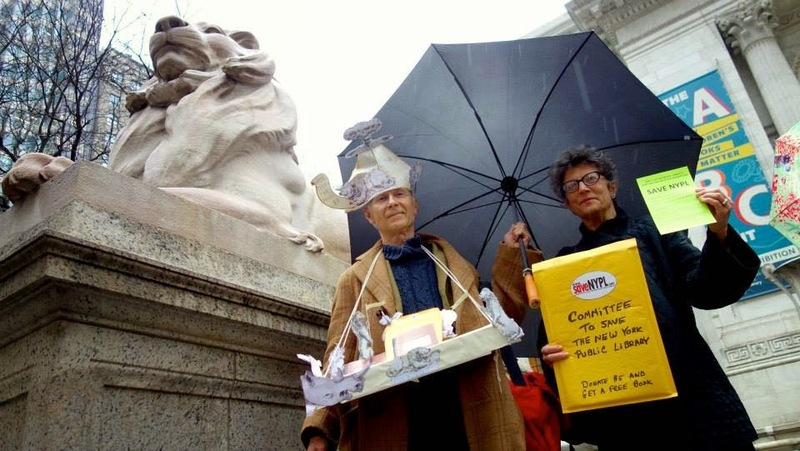 It was unveiled by the Committee To save The New York Public Library at a rally held in a downpour outside the NYPL’s trustees meeting. 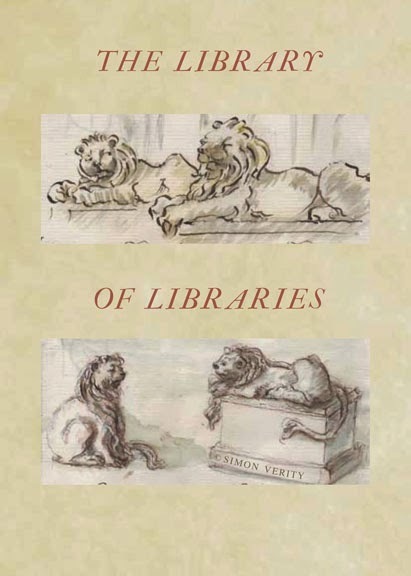 The book, by Simon Verity, filled with his sensitively witty drawings, is “The Library of Libraries.” Expect it to be at bookstores around the city. It too is a parable, beginning with “ONCE UPON A TIME,” but it is only slightly fantastic or fanciful. Unfortunately it is far too close to the truth. 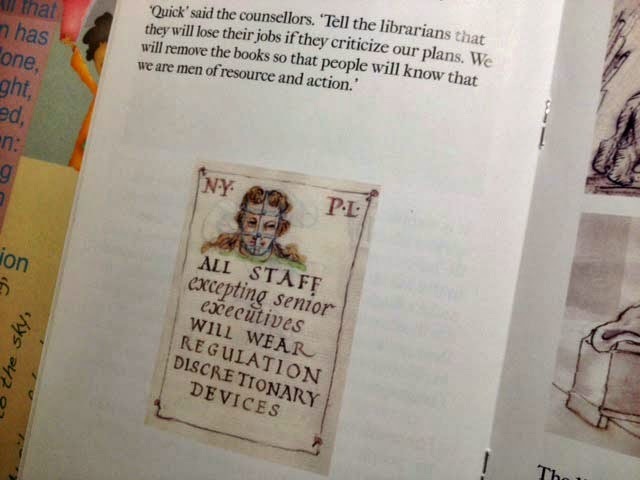 As in the Mr. Rights story Mr. Verity’s tale, grimly based on fact, has the librarians who could save the library being told “that they will lose their jobs if the criticize” the plans of those running the city. Is Mr. Verity’s tale suitable for children? Maybe the more mature among them. Sometimes children can especially love stories with sad endings. I remember, as a child, going back again and again to the tale of “Old Yeller,” in the end, about a fearfully depressing loss. 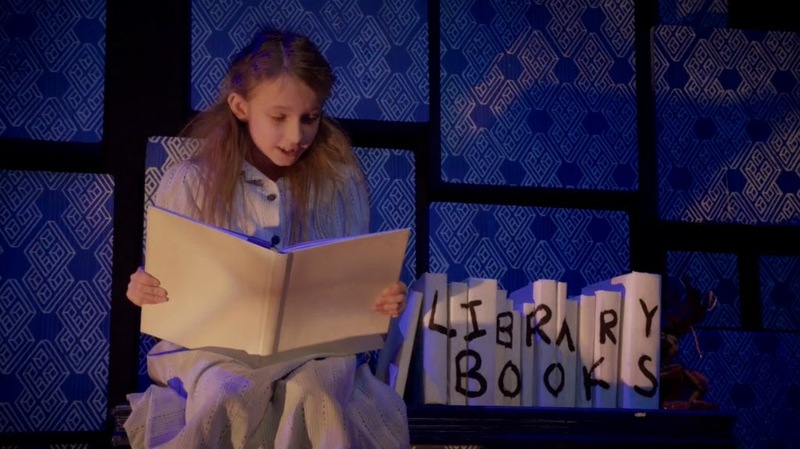 Yes, Verity’s story has an unhappy ending (you can't always presume there will be a happy one), but let us hope that the cautionary downer and as yet fictional note on which it concludes will be impetus for real victories that prevent the destruction of our libraries. . . .
. . . . Better this than that the hopeful, happy endings of “Return of the Library Dragon,” “Mr. Rights . . 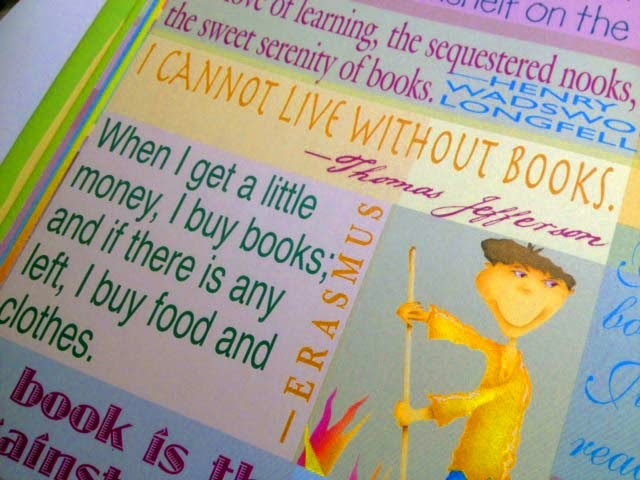 Saving Libraries” and “Matilda” are contradicted in real life by much more bleak results. . .
. . . But then would people know of such contradictions to the endings of these books if the world "Mr. Krochip" envisions materializes with everyone forgetting what these or any other books even looked like. Last week the Brooklyn Heights Association introduced Clay Shirky, the “author/digital thought leader/NYU professor/Brooklyn Heights area resident” as its featured speaker at its annual meeting, to talk about “what the internet does to culture.” There are plenty who suspected that in selecting Shirky as its speaker for the meeting the BHA was attempting to convey that the BHA is technologically hip and therefore qualified and even prescient in supporting the sale and shrinkage of the neighborhood’s library. Digital happy talk? If that was the BHA’s goal it wasn’t exactly a slam dunk or even an easy lay up. Quite the contrary. 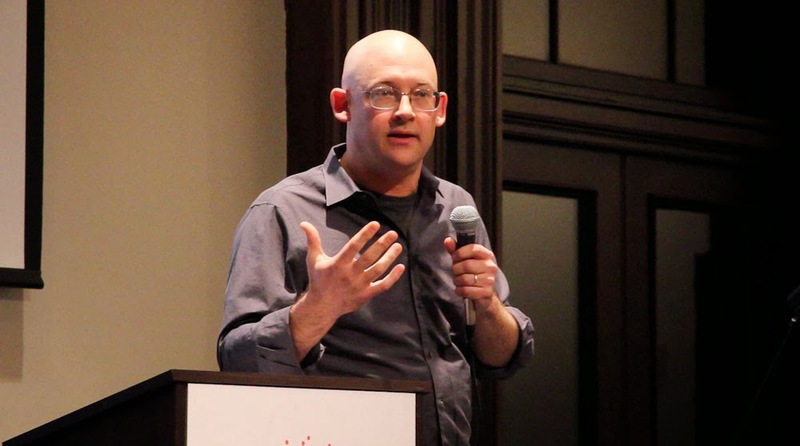 Mr, Shirky explained that because of the holes in the internet, the significant material that is missing from the what you can find there, we need our libraries. Mr. Shirky had a little help in making this point about libraries from the podium: my question to him during the ensuing question and answer session. My question was about what you won’t find on the internet. By the way, in asking the question, I made no mention of "libraries." I commenced my question with a personal example: One of my aunts was frequently referred to as the “First Lady of Chicago,” which I think accurately indicates that she was a very well known individual. When she walked down a Chicago Street everyone knew her. As I told Mr. Shirky, the perception I formed was that the internet presented a “thin rich topsoil” of recent events, but there was much missing from it. Albeit it has some rocky bedrock too: It’s easy for me to find some information about my ancestors' Civil War participation (though not their letters that are in the Library of Congress). I mentioned Tim Wu and Lewis Hyde, two names I knew that Mr. Shirky would have to know, who both write about the impoverishment of the public sphere, Wu writing about how it occurs when media industries inevitably trend toward monopoly and Hyde talking about the disappearance of the public commons through increasingly privatizated ownership of the ideas and information we consume. They are both also professors, Wu a professor of law at Columbia and Hyde a professor at Harvard and Kenyon. 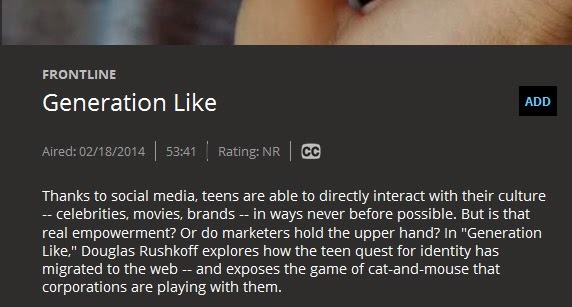 It is scary how mutable the internet and technology can make things. 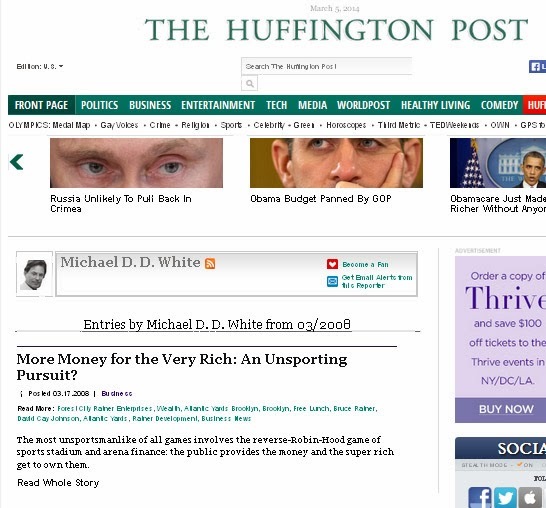 In 2008, in the scheme of things not so very long ago, I wrote a fairly widely read and circulated article for the Huffington Post, “More Money for the Very Rich: An Unsporting Pursuit?” (I can actually say that before I wrote this I met Arianna Huffington, soliciting contributions for HuffPo, when it was in its original incarnation, but that is not so important to the point here). My article is now no longer anywhere to be found on the Huffington Post site although there are a few ghostly traces of its prior existence. When the Huffington Post was sold to AOL in 2011 in a complicated merger, some contributors like former U.S. Senate candidate, political organizer and Jonathan Tasini, objected (including legally) saying this was not why they had contributed upaid work to the site. Now the Huffington Post has just changed its rules for commenting on its sites to require that anyone commenting let the HuffPo have access to their Facebook accounts. The HuffPo says that they are doing this to ensure “civil discourse,” but is that the case? Aren't they more likely simply seeking to data-mine the same data that Mark Zuckerberg has access to? 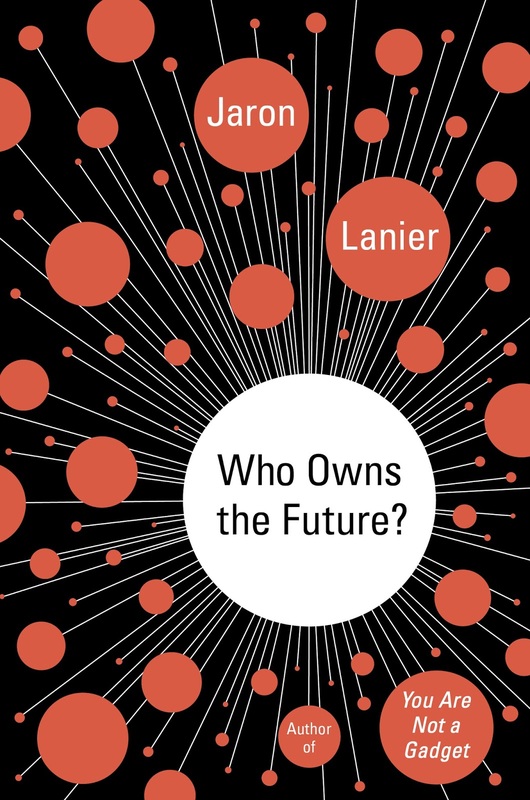 Much of the history of the internet has similarly consisted of the acquisition of companies in sell-outs and with their acquisition their disappearance, or the introduction of totally new sets of rules. In an article we handed out at the BHA meeting I cited this ominous sentence from a very recent New York Times technology section article: “If you own a Nook, the fate of your books may now be up in the air.” George Orwell’s "1984" is largely about how books and information with which the public is furnished can be manipulated to exist exclusively only in an ever-fluid present where what exists need have no relationship to the past. In one of the most famous early events with respect to the Amazon kindle it was Orwell’s book itself that Amazon caused to mysteriously disappear from readers' tablets. 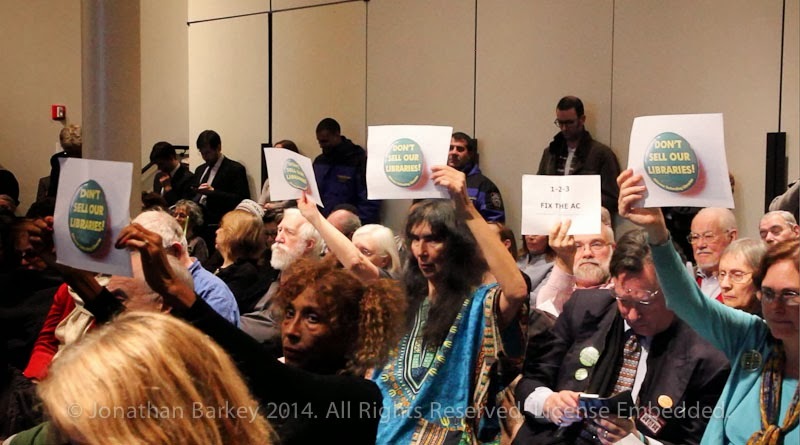 Brooklyn Eagle story about BHA meeting when it was upcoming- Picture shows Shirky protesting against PIPA which along with and like SOPA would greatly curtail the public utility of the internet. Those laws, defeated by activists, are now in danger of coming back in the form of the TPP. All of the above should be excellent grist for discussions that at least some groups ought to be having at the SXSW (South by Southwest) music and technology festival about to begin in Austin Texas (Friday, March 7 to Sunday, March 16). 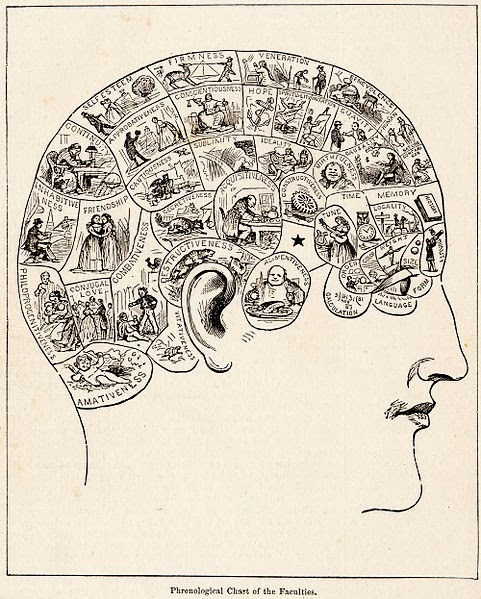 The ability of technology to preserve and communicate knowledge is much vaunted, . . . we often fret over the indeliblity of the internet. 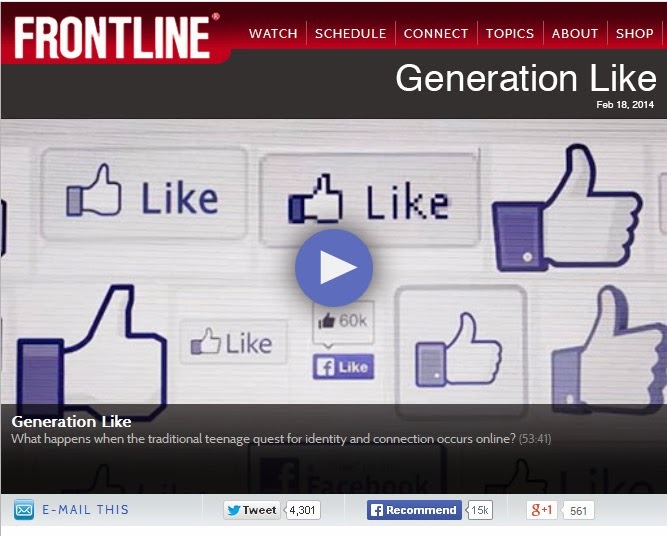 . . if you post something indiscreet on Facebook will it haunt you forever?. . . But my question to Mr. Shirky was about what we are losing, whether with everything that is missing, potentially missing or pushed under on the internet are we in danger of a great loss, a great extinction of Mankind’s knowledge? At that point in the meeting a number of us held up our “Don’t Sell Our Libraries” signs and called out that our libraries should not be sold. 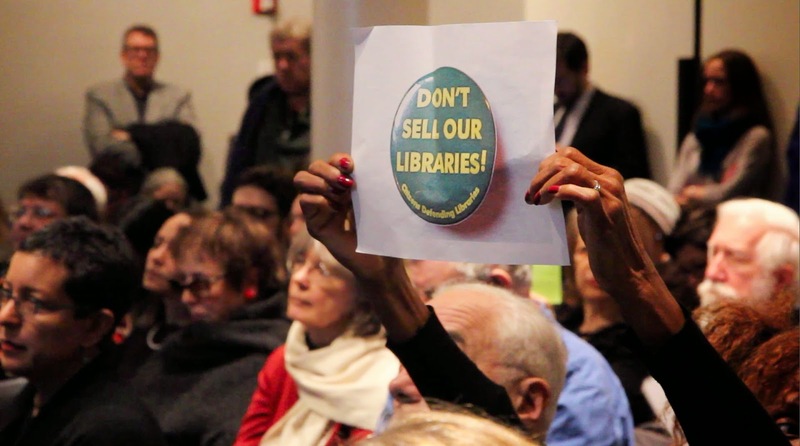 It has long been sort of mystery why the Brooklyn Heights Association has been supportively working towards a sale and shrinkage of the Brooklyn Heights Library. 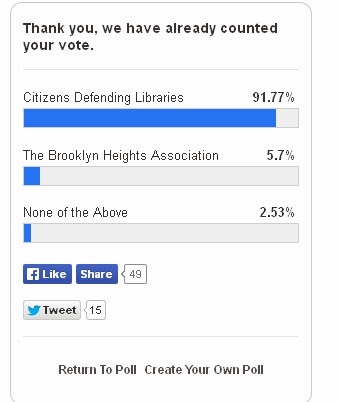 The library is at least the second most important library in the entire Brooklyn system. Rather paternalistically the BHA has decided that the library should be sold and shrunk when that is not what the people of the neighborhood want. 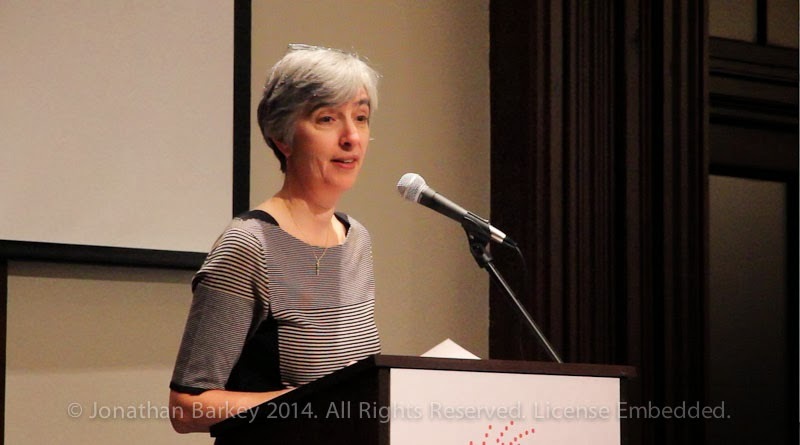 BHA president Alexandra Bowie who thinks the reason we ought to sell and shrink the Brooklyn Heights Library is so that we don't have books on "phrenology"
Thursday night at the BHA meeting BHA President Alexandra Bowie offered a sort of goofy pseudo-explanation to clear up that mystery saying that the library should be sold and shrunk so that we won’t have books on “PHRENOLOGY” in it! Is that why the art section in the library is now empty of books on art history? Is that why the children's section has vast expanses of empty shelves? One year ago, at the last Brooklyn Heights Association meeting, one of the books Jane Jacobs, famous urbanist and thinker, (“Systems of Survival: A Dialogue on the Moral Foundations of Commerce and Politics,” was discussed by Brooklyn Heights Board President Jane Carroll McGroarty to elucidate the moral issues relative to selling off neighborhood hospitals libraries. 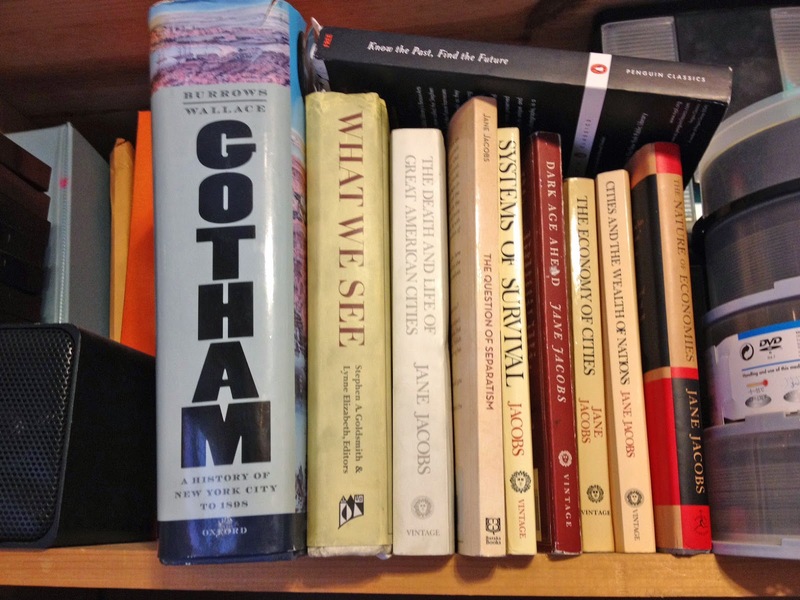 Notwithstanding, and although Jane Jacobs' work is highly relevant to being able to understand and address climate change and myriad other problems in our society, only one copy of one one of Jane Jacobs seven books can be found in the Brooklyn Heights Library. And you won’t be able to read those books on the internet. After the meeting the BHA representatives speaking with the press described themselves as `negotiating'* with the BPL about the subject of the library, but anyone who has attended any of the so-called “Community Advisory Committee” meetings knows that this is obviously not the case . . It cannot be the case when the BHA has described itself as following the lead of the teeny-tiny “Friends of the Brooklyn Heights Library” group that has explicitly stated it isn’t permitted to “negotiate” for anything and can do nothing but what the BPL wants. Mr. Shirky does have some good news about how the internet operates sometimes. His lead into the evening's discussion of the internet was to talk about Martha Payne, a British schoolgirl who was banned from posting pictures of her school’s meal on her very successful blog "NeverSeconds." When word got out on the internet that her school banned her from posting pictures of the less-than-appetizing meals there was a viral furor that liberated Ms. Payne from the injustice. 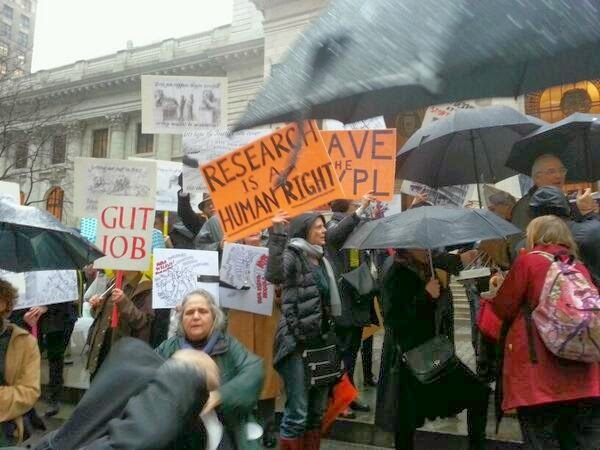 The week of the BHA meeting the fight to save New York City's libraries from being sold off and shrunk was having its own viral success. 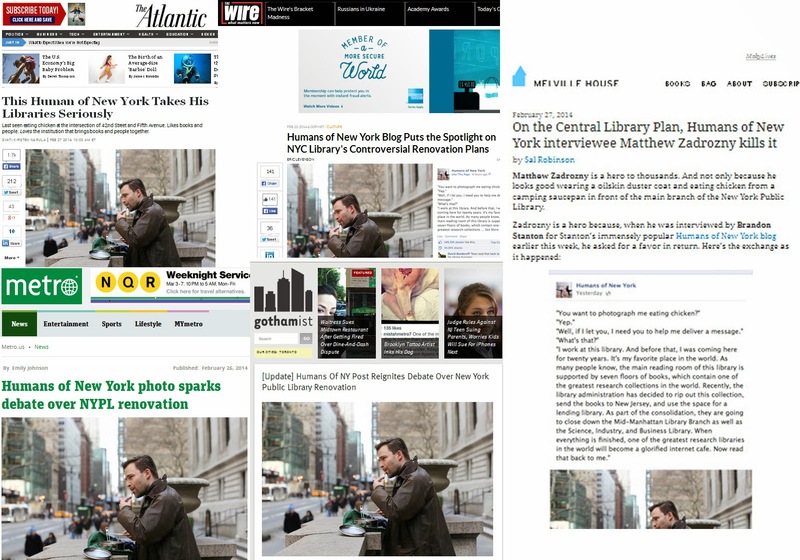 After “Humans of New York,” which is both a for-purchase book and Facebook page, posted a picture of Matthew Zadrozny together with his statement of activism to save the 42nd Street Central Reference Library, the post received almost a quarter of a million “likes” and over 52,000 shares (at last count 231,091 likes and 52,999 shares). The astronomical, sudden and unusual popularity of the post and its relationship to the lurking news story resulted at least five articles in: The Atlantic, New York Metro, The Wire, Melville House, and Gothamist. 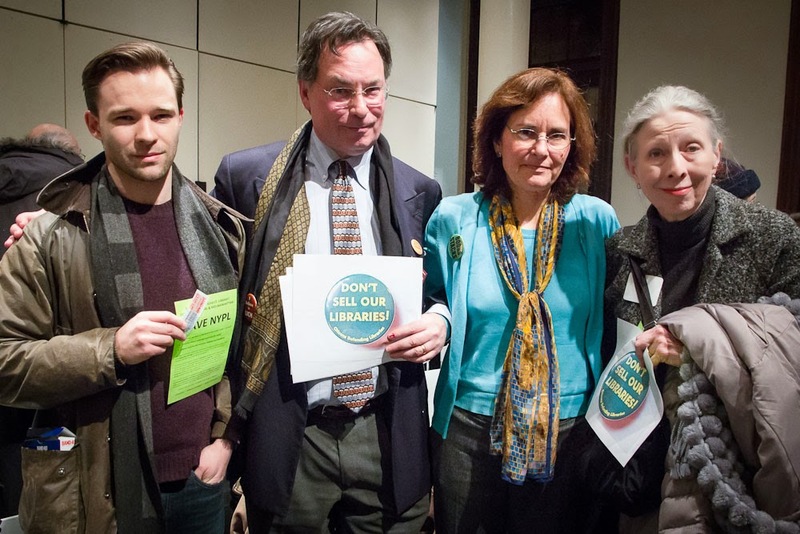 In fact, during an discussion with former Senator Harris Wofford at NYU's Gallatin School last night respecting the history of civil rights and race and activism NYPL president Anthony W. Marx noted the success the campaign against the NYPL's Central Library Plan has had in going viral. "It's amazing," he said. Mr. Zadrozny was at the BHA meeting working to save libraries, picture below.